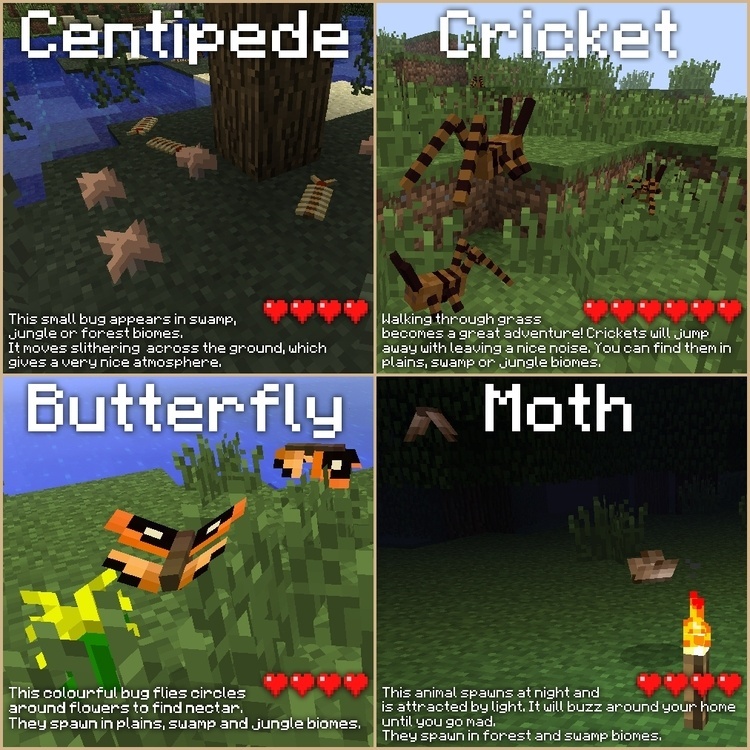 Animals Plus Mod 1.12.2/1.11.2 is one mod focusing on new animals and creatures in Minecraft. You will see the presence of many animals such as sharks, tiger fish, or some insects such as crickets and centipedes, etc. One actual point in Minecraft from the very first versions to now is the shortage of animals system. When we play some versions nearby, they have a lot of new animals. However, it does not enough when the real wild animal world is very various and diverse. Therefore, Animal Plus Mod was written to support some types of animals and insects in reality to change the favor of the players. We will have some new animals such as sharks, tiger fish (piranha, perhaps, they can nibble at one zombie and turn it into a skeleton in few seconds. I don’t know whether it is true, but it is quite logical). Moreover, there are a few tiny insects like butterflies, moths, crickets, centipede, etc. These insects are to make beautifully in the game and create a peaceful environment, whereas the new animals that I don’t ensure whether they can “eat” you or not! Put jar file of Animals-Plus into mods folder and then run Minecraft. Done!